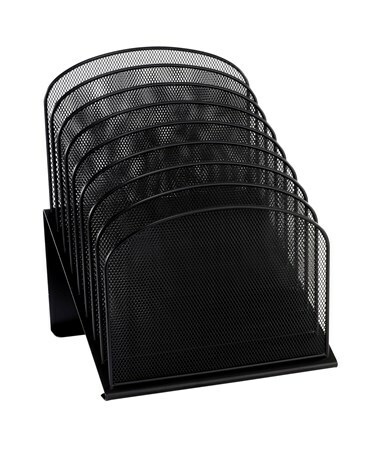 The Safco Onyx Tiered Sections is a great tool for organizing files, documents, and other supplies and save a lot of desk space. 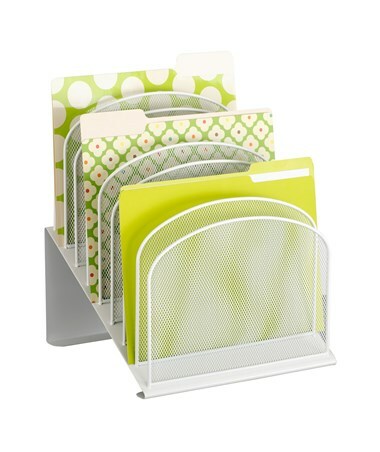 It features a tiered design for a more organized sorting of files. The mesh panels form vertical sections that can fit up to an inch thick of supplies. 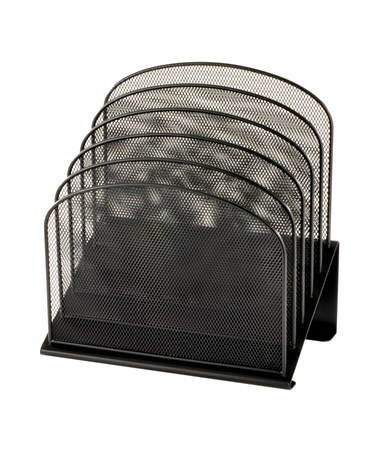 This desktop organizer’s base is made of steel and the panels are steel mesh. The black or white powder coat finish makes it more durable. It is also safe for indoor use as certified by GREENGUARD. 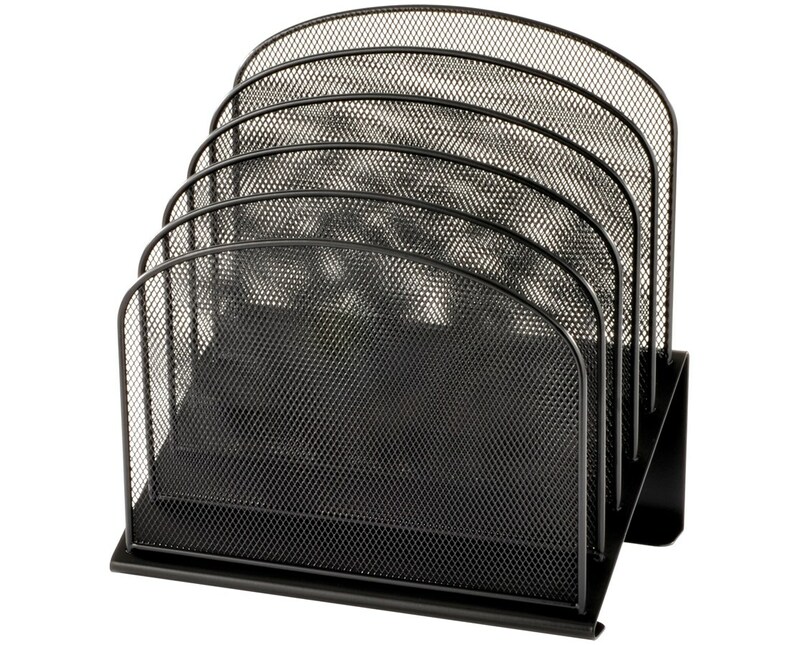 The Safco Onyx Tiered Sections is available in a different number of sections and colors. Please select your preference from the choices above.